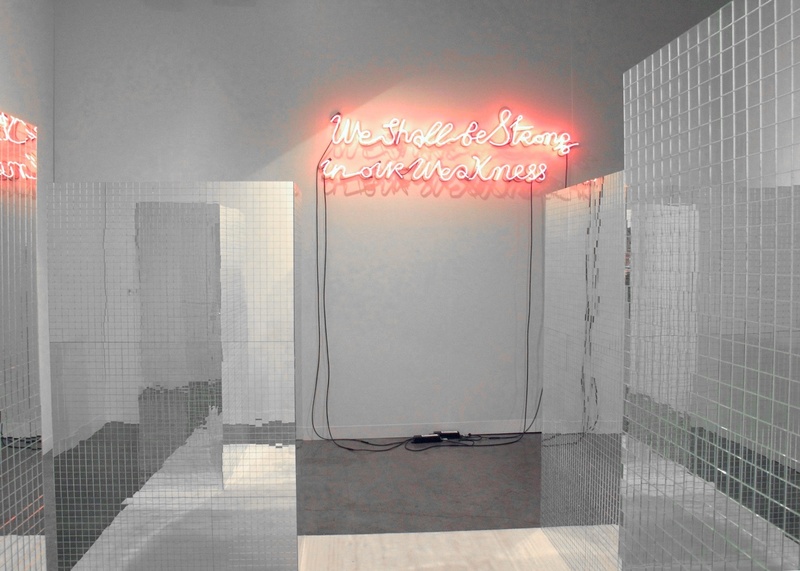 The 11th edition of Art Basel Miami, affectionately referred to as the adolescent sister of the original Art Basel founded in Switzerland, once again took the contemporary art world by storm. Over 260 galleries participated in an ever expanding stretch that filled the Miami Convention Center located in South Beach. The first thing one might notice upon entering the fair is that unlike many other art fairs, the secondary market galleries and those representing contemporary artists are not separated. Rows and rows of cubed booths featured installations ranging from paintings by Pablo Picasso on view at Modern and Post-War gallery Helly Nahmad to Olafur Eliasson’s “Berlin Colour Sphere”, 2006 shown at neugerriemschneider and Los Carpinteros “Kosmaj Toy”, 2012 installed at Sean Kelly Gallery. Outside of the main Art Gallery section however, was a range of exhibitors each with a particular focus. Art Nova presented 40 galleries, both emergent and established, offering newer works by young artists. Art Positions, located directly opposite of Art Nova, was the smallest sector with just 16 galleries, and seeming to take a cue from VOLTA NY, each gallery highlighted one artist relevant to their own program and focus. These two areas of focus catered to my particular interest and aesthetic concentration, resulting in most of my time being spent there also resulting in many of my T O P PICKS, materializing from either Art Nova or Art Positions. Having attended many art fairs this year globally along with the internationally important, large-scale exhibition dOCUMENTA (13), I’ve found that each fair has a majority of galleries from a certain country or region. Walking through Art Basel Miami was no different as 50% of the galleries were either from the United States or South America. 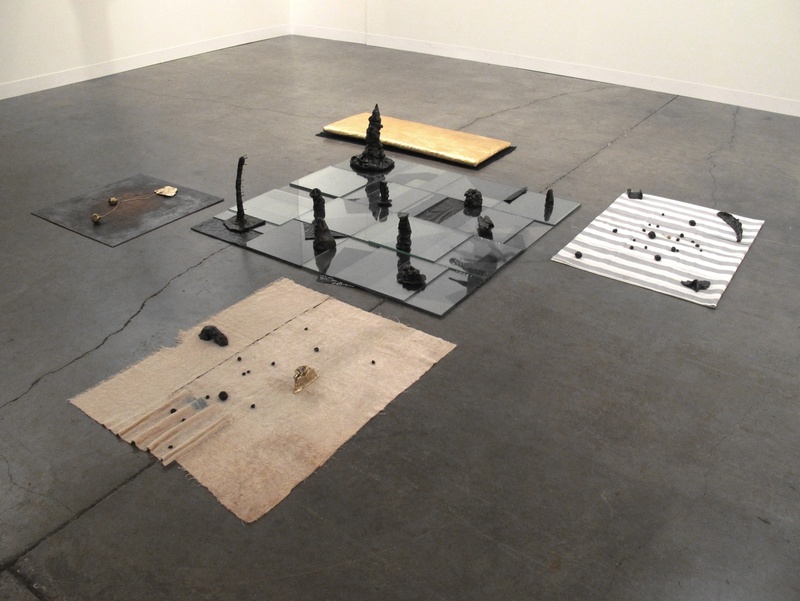 Sãn Paolo offered, what in my opinion, were some of the most relevant micro-exhibitions at the fair. The Sãn Paolo based gallery Mendes Wood, located in the Art Nova section paired artists Adriano Costa and Tunga, working in object based installation and whose dialogue was symbiotic and meticulous occurrence placed in the booth, not overwhelming the visitor but rather quite harmonious. 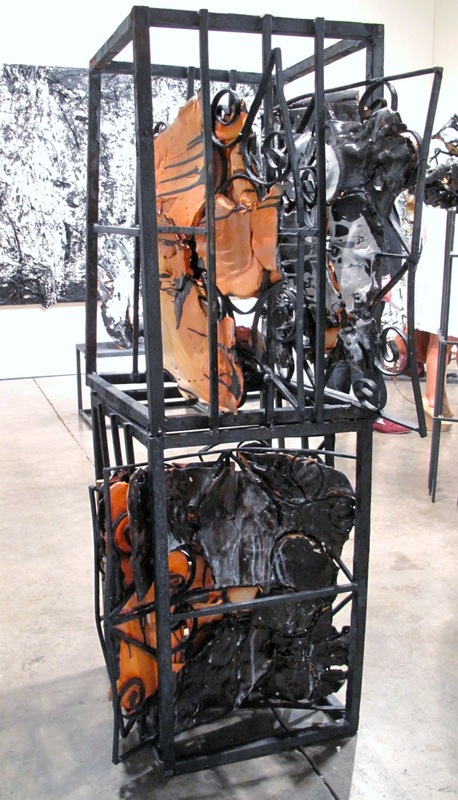 Black materials that appeared to be burned or aged were found in more than one booth and it was as if Art Nova and Art Positions categorically took a page directly out of what might be an imaginary guidebook to up and coming artists. More so than the centrally placed Art Gallery section, Art Positions and Art Nova allowed for moments of both recognition and discovery. Kavi Gupta, Berlin/Chicago featured the works of Theaster Gates who was part of dOCUMENTA (13) and the emergent and hip Angel Otero who also has a solo exhibition at Brand New Gallery, Milan on view until December 22nd. 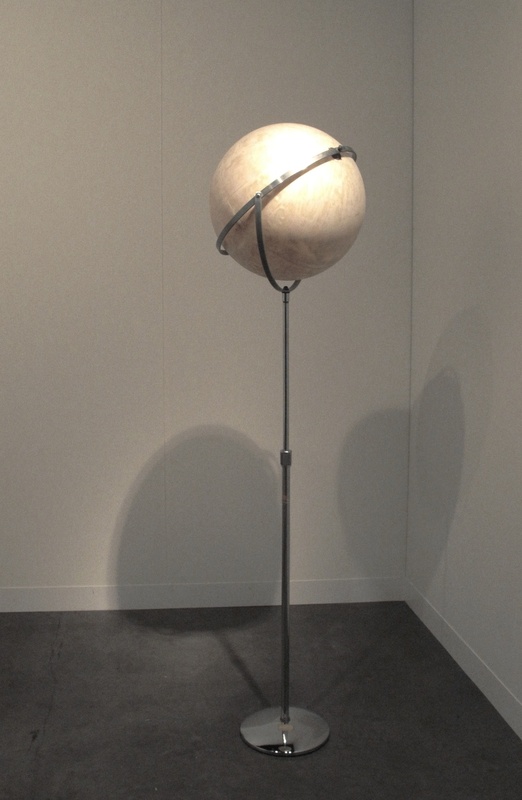 Popular New York based gallery Ramiken Crucible located in the deep left corner of Art Positions, transformed their small booth with the tall, angular metal sculptures of Andra Ursuta. 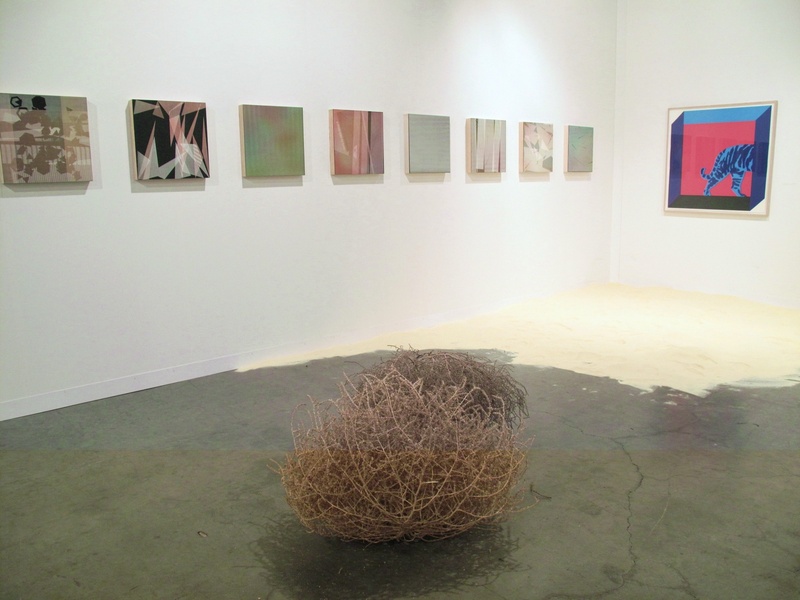 Directly across from Ramiken Cruicible was the booth of Miami based Spinello Projects. Director Anthony Spinello is ambitious and we spoke briefly about our first meeting at Scope Hamptons many years ago. 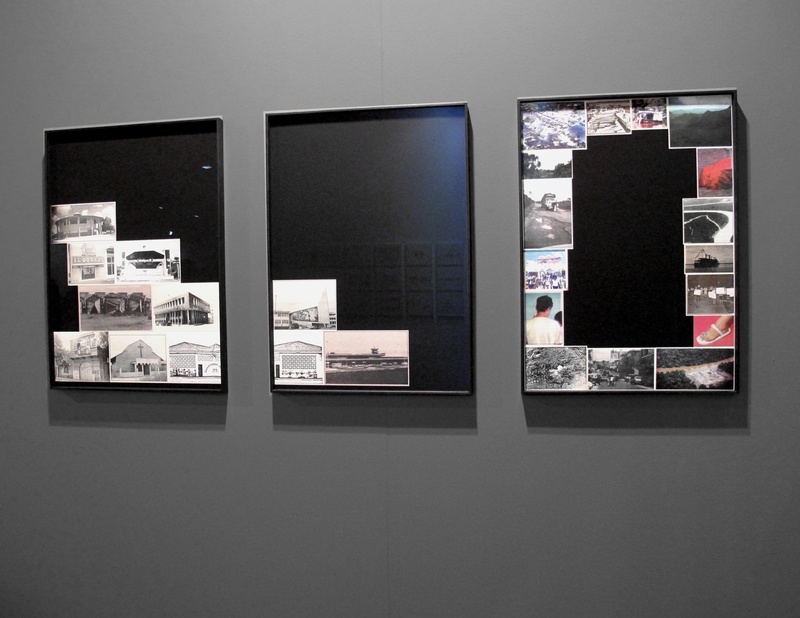 For Art Basel he presented a conceptual project titled New Landscapes by Miami based artist Augustina Woodgate. Upon first glance the work appeared to be drawings and indeed they are but the process of drawing for the artist, revolves around the removal of information and then recompiling that same material to make something else. Her focus has been on the definition of space such as a flat two dimensional map or the cylindrical representation of a globe. In a cycle of actions that includes erasing countries, landscape and in a way cultural identity that then results in three dimensional fragments, shavings of dust, she redefines the concept of boarders, volume and geometric equilibrium. It was one of the most intellectually stimulating projects at the fair. 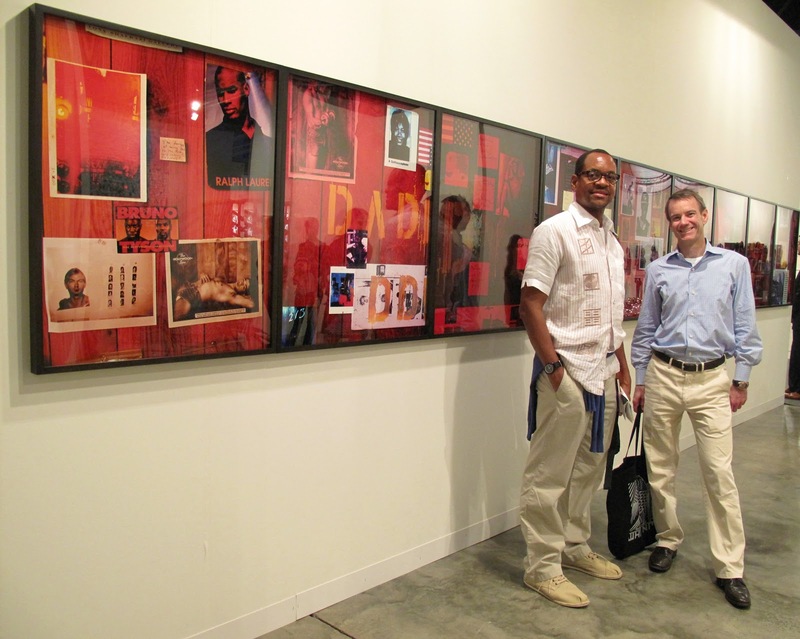 Lastly, I will mention the work of Lyle Ashton Harris who exhibits with CRG Gallery in New York which was included in the main section of the fair. What was special about his large, multi-dimensional piece is that it was the first time since 1996 that the series of nine photographs that equal “The Watering Hole IX 5/6” were reunited and shown as a group. Quite captivating individually, together the works loosely tell a tale of Jeffrey Dahmer, his own masking of queerness and sexuality which emerged violently in serial murder. The focus grapples with identity, gender, and race resulting in the interpretive documentation of particular period of time that is expansive, also mirrored in the length of the work and rather than feeling like time passed, is a relevant documentation of life, fear and fetishistic longing. 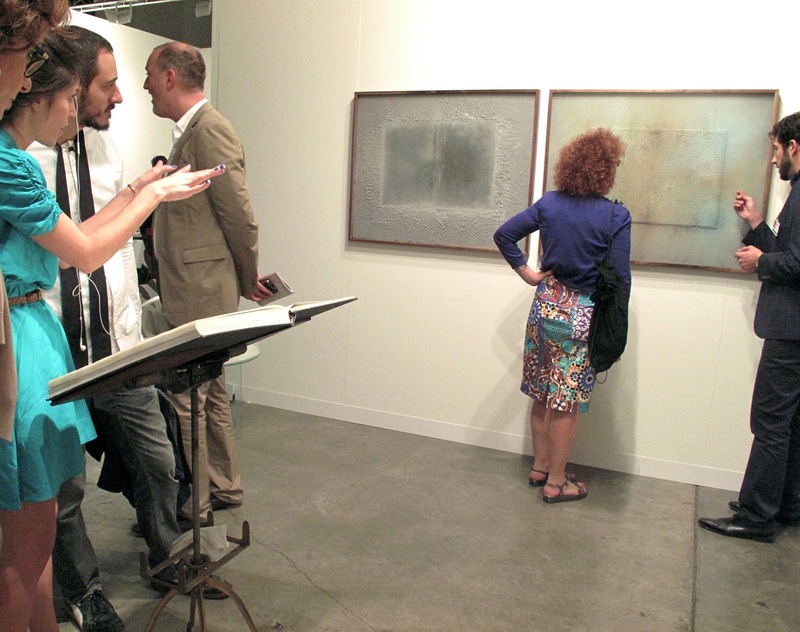 For many New York based galleries exhibiting at the fair, including CRG, this was the first occasion after Hurricane Sandy which allowed them to reconvene within the realm and context of an exhibition space. While several New York galleries had to turn down the opportunity to take part in Art Basel Miami due to loss, there was a strong invisible presence of survival and hope that permeated the air. This seemed to ring true not only regarding the participation of galleries post-hurricane, but also within the circumstances regarding the art market. Rumors have it that sales were a success and in an aide-mémoire, once again the market comes out on top. That being said, you’ve waited long enough and here it is, in no particular order, my T O P PICKS from Art Basel, Miami 2012! 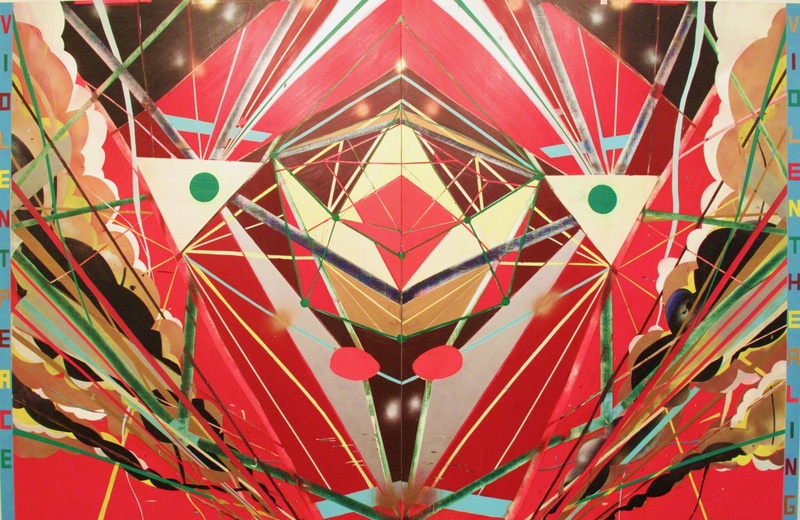 Along with Art Basel Miami, a total of 26 art fairs graced various locations around South Beach and Downtown Miami. 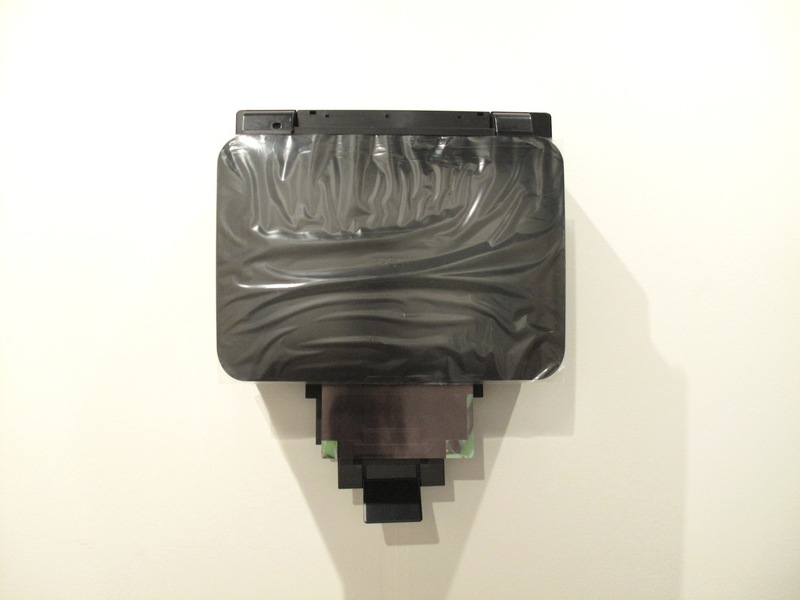 A particular buzz circulated around NADA and also the new kid on the block, UNTITLED which was curated by Omar Lopez-Chahoud, Artistic Director. 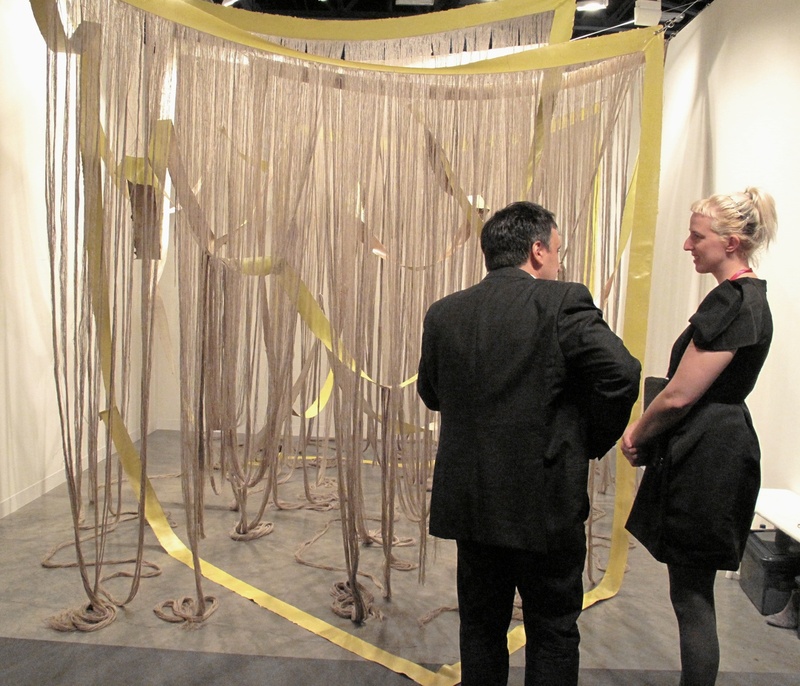 The next Art Basel, Switzerland will take place June 13th-16th and will be in Miami once again from December 5th-8th, 2013. All of the fairs were on view to the public commencing the 4th of December and closing the 10th. Stay tuned for more of my coverage soon and also be sure to check out my article Are you “IN” or are you “OUT”, Nightly parties during Miami Basel in my Flash Art column, NY Tales.